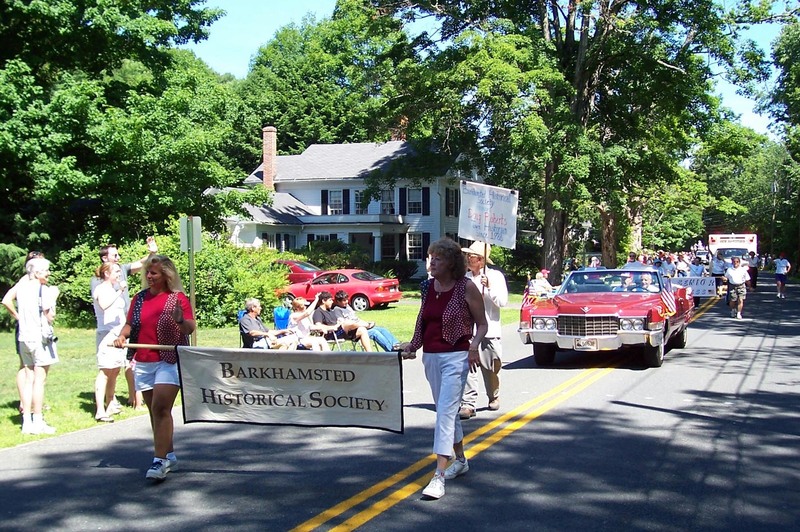 The Historical Society participated in the Independence Day Parade at Pleasant Valley. 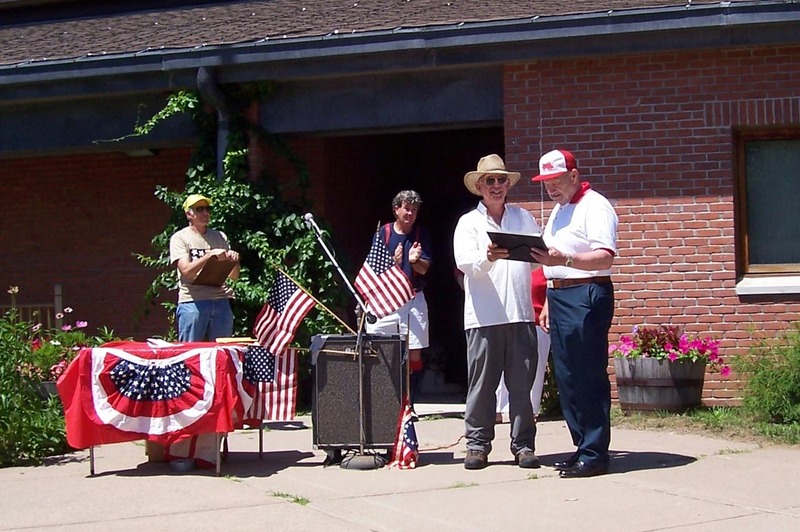 Our special focus during the parade was honoring Doug Roberts and his many years of service (since 1988) as Barkhamsted Town Historian along with years of excellent service to the Historical Society. After the parade we held an open house at the Squire's Tavern. We were very pleased to see new friends and old who stopped by to see what is new at the Tavern, including the front parlor with wall stencils, liquor keep and "new" floor boards. Historical Society guides were available to answer questions and discuss plans for the future. 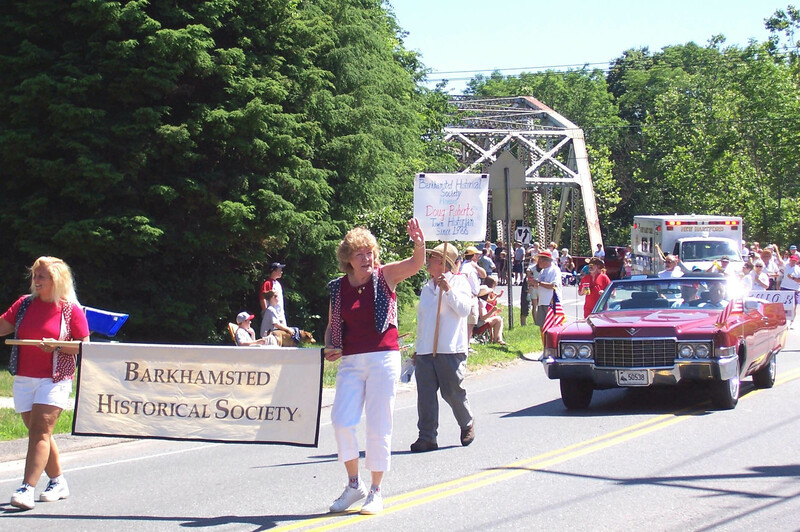 Below- photos from the July 4, 2005 parade in Pleasant Valley. 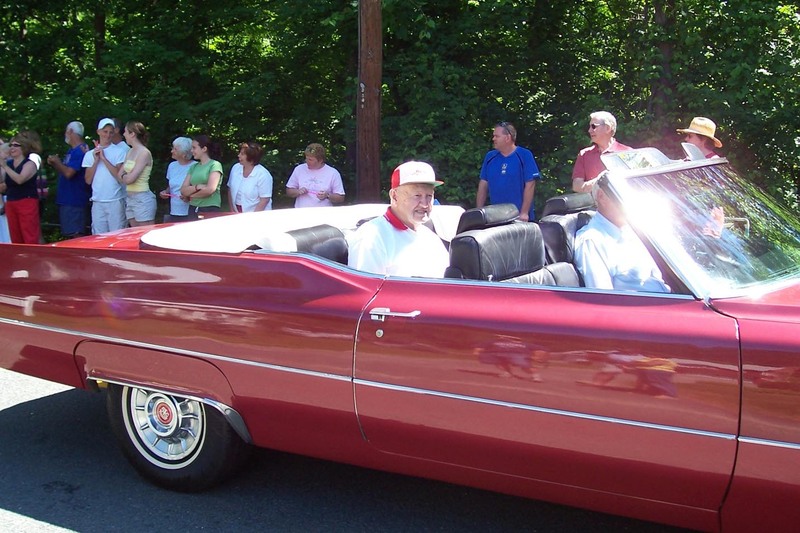 in the red car, was honored during the parade. Marching near the bridge in Pleasant Valley. Society at a ceremony after the parade.